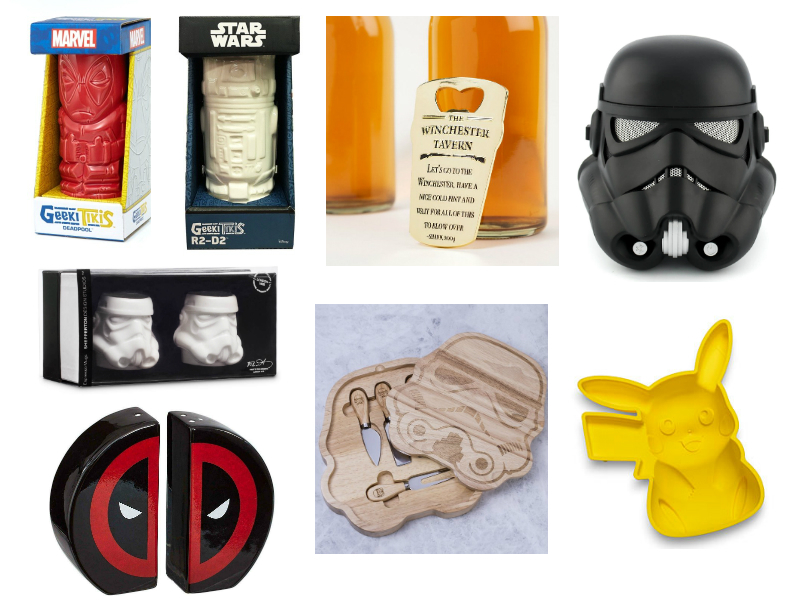 Geeky Guys Christmas Gift Guide – Collaboration Post! 1UP 600ml Gaming Flask (link) This super cute 1UP water bottle fashioned after the Super Mario Brothers game franchise is on sale at only £1.99 when it was originally £6.99 and I thought that this was an absolute bargain not to be missed! It’s a really handy item to have, especially when you’re on a gaming streak and haven’t moved for hours, haha. Gotta stay hydrated! Marvellous Mopeez Deadpool Plush (link) Who doesn’t love a cuddly plush!? Even if it’s just to display, these awesome collectible plush toys by Funko make a great stocking filler. Funko products are always made to a great quality, and I’ve had my eyes on a few Mopeez plushies myself for a while now. There’s lots of other characters available too if your geeky guy isn’t a big fan of Deadpool. Check out the Forbidden Planet website too because they have loads (see here). Official Nintendo SNES Controller Poster (link) I just thought that this poster looked awesome and would also look really nice in a frame too! It’s only £3.99 so even on a budget, you should be able to find a cheap framed poster in a pound store… just remove whatever poster is inside and add this one instead. Voila! You have yourself a nice framed poster for your gamer loved ones! It looks great without a frame too to just display as wall art. Official Nintendo Super Mario Badge Pack (link) I personally think these badge sets are brilliant! This Super Mario one from Blue Banana has 25% off at the moment, so you get five badges for just £2.99. They are so bright and colourful, and would look great on a jacket or a backpack. They come on an awesome-looking presentation card, which is nice and are small enough to pack into a stocking. Badge sets are another gift that cater for so many different interests because there’s so much variety available! Blue Banana are selling 20+ different badge sets at the moment, all for the same fabulous price. Star Wars Episode VII Stormtrooper Pen & Case Set (link) Is your geeky loved one a sci-fi fan? If so, then this pen set would make a wonderful stocking filler for them! As the item description says, ‘May the force be with you (and your stationery collection)!’ haha. Everyone needs pens, and these stormtrooper ones come with a fancy case to store them, which makes them easy to carry about too. Funko Pop! Vinyl Keyring: DBZ Goku (link) How cool is this little Goku from Dragon Ball Z!? I really love these Pocket Pop! keyrings; I have a Daryl Dixon one myself and I was really impressed with all the detail that went into such a small figure. Everyone loves a Pop vinyl figure, but not everyone has room spare to fill with boxes, so these tiny guys are the next best alternative! Funko Mystery Mini Star Wars Blind Box (link) Here’s another gift for the lovers of science fiction! Everyone likes a surprise and unwrapping Christmas gifts are all the surprise you need, but imagine finding yet another surprise underneath all that shiny festive paper! That, in my opinion, would make anyone delighted, so why not look into getting a Mystery Mini blind box for your loved ones this year! Inside these Star Wars edition boxes, you can reveal one of 15 figures, and they are bobble heads too!! Mini Desktop Arcade Machine (link) This product seriously sounds so so fabulous! It’s a mini gaming machine that is portable, has a colour screen and is packed with 240 retro arcade games!! You could keep it on your desk at home or at work, and I am definitely very tempted to get one for myself! IWOOT are also offering free delivery for any items over £10 too, so you can save money to pick up some batteries for this perfect gift for your gamer friends & family. 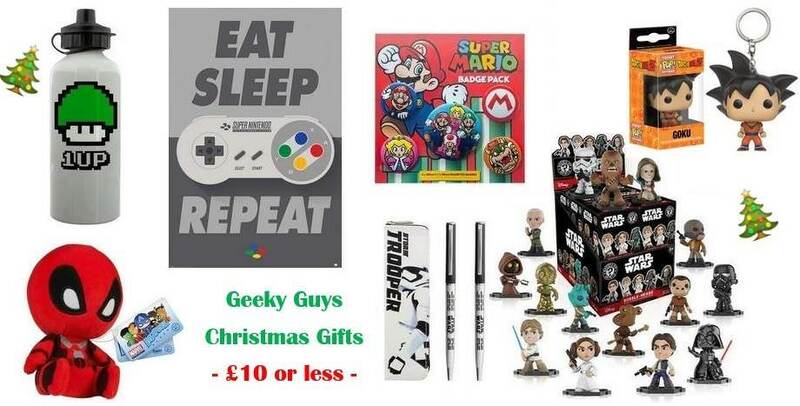 I recently discovered a fantastic deal over on the My Geek Box UK website, 3 gifts for £20! 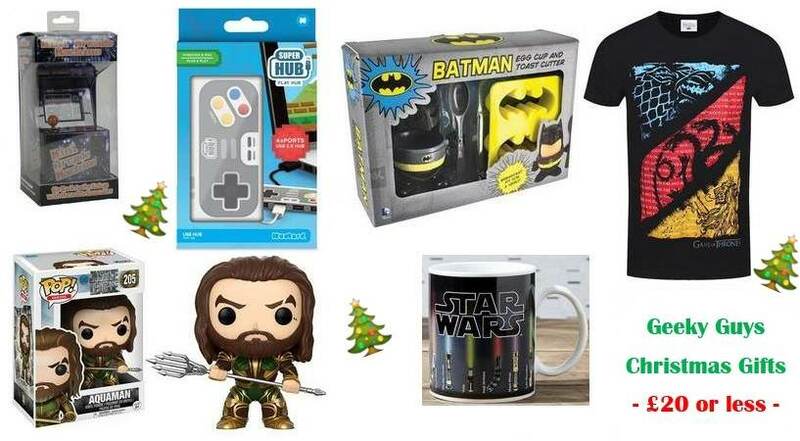 The next three items that I’ve featured on my geeky gift guide are examples of the kinds of gifts that this special offer includes. Firstly, we have a multi-port USB hub (find here) that is designed to resemble a Super Nintendo controller, which I really like! It’s a very useful gift for anyone who’s a gamer or a tech geek. Another item includes this awesome novelty Batman egg cup and logo toast cutter. It’s a comical and handy present that most geeky guys will enjoy, unless they don’t like eggs! The last item I’ve picked out is a Star Wars Lightsaber Colour Changing mug! I LOVE these heat-reactive mugs, they are wonderful! Official HBO Game of Thrones Diagonal Sigil T-Shirt (link) We’ve come to the last present idea on my geeky guys gift guide! 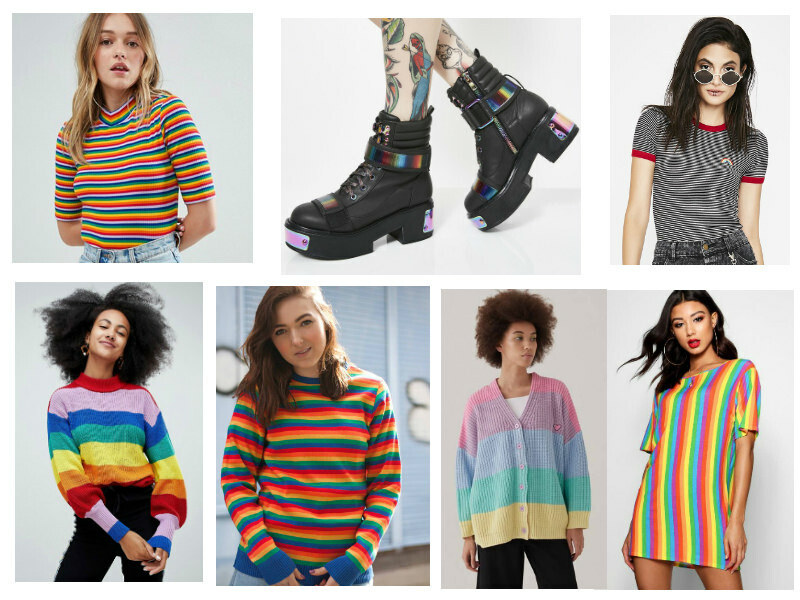 Clothes are always a good present to get, especially if you know what your loved ones are into but aren’t sure exactly what kind of gifts they would enjoy. This t-shirt caught my eye because of how vibrant and eye-catching the sigil designs on the front are. I think they are brilliant and I love how HBO have even incorporated the different Stark, Targaryen and Lannister house words/mottos into the design too. Very cool and I’m sure any Game of Thrones fan will love this gift! I just want to say a massive thank you to Sarah for agreeing to collab with me for Christmas! I was so excited to ask her, so the fact that she agreed to it made me so damn happy! We have another awesome Christmas gift guide coming up on our blogs on Saturday, so keep your eyes peeled for those! Until next time, take care all and I hope you’re having an awesome week so far.